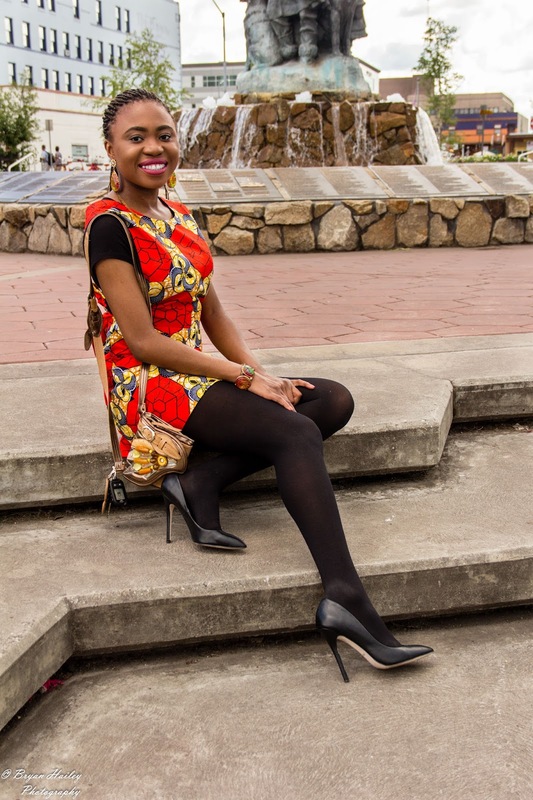 Hello Yvonne: Blogger Collab: An Ankara Duo! "A good friendship requires two things, to find similarities and to respect differences" Hello! So today I am excited to do my first blogger collaboration with Louisa the lovely blogger and pharmacist behind La Passion Voutee. One of several reasons why I started blogging was to connect with other individuals and bloggers of similar interests or not, and I can say that I've been successful in that aspect because I have made some friendships through blogging and one such friend is Louisa. I feel she is someone I would reach out to for lunch or coffee if we were ever in the same area. For our collaboration, we styled Ankara (African inspired fabric) pieces. I love how Louisa layered that pinafore dress in all black keeping the focus on the dress, and the dress it's self is so cute! Her blog gives you great information on different topics like starting a blog, monetizing from your blog etc as well as styling some beautiful affordable pieces. You can also find her here on Instagram, and facebook. I on the other hand chose to bring out the red from the skirt, afterall ankara pieces are known to be vibrant and I did that by adding a red bag and heels, paired with a classic button up neutral white shirt. 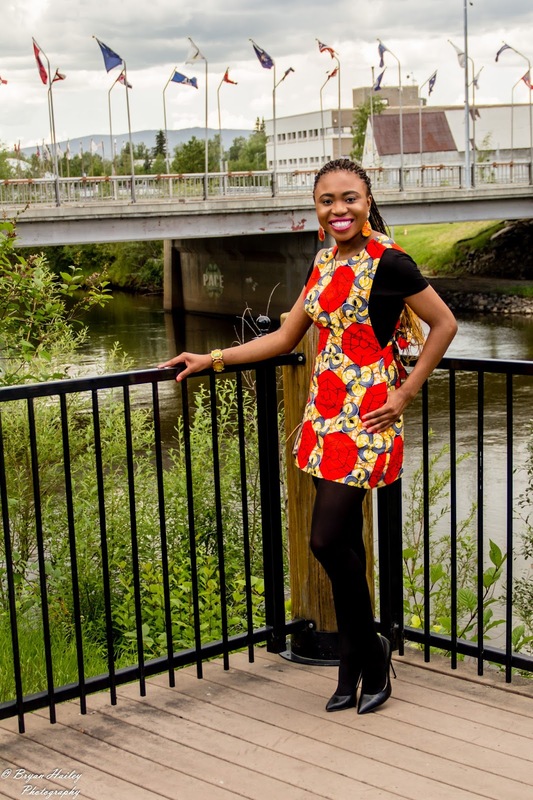 On Yvonne: Bag- Melie Bianco (Similar), Skirt- Custom made Ankara (Similar, Similar), Shirt- Express (Here). On Louisa: Dress (Here), T-shirt (Here), Tights- ASOS (Here), Heels (Here), Bag (Here). Thank you for stopping by! What a great idea! You guys look beautiful! I loved seeing how you both styled your Ankara, both looks are unique and super fab.